With Korbell you’re not wasting liner material individually wrapping each nappy. Plus, Korbell’s unique continuous liner system gives you the ability to create bags of any size – so there’s also no waste if you want to empty the unit before it’s full. With Korbell’s nappy disposal bin you simply step on the pedal to open the lid and then drop the diaper through the trap door. Your hands never touch the unit! So there’s no need to take both hands off of your baby to insert, or push a dirty nappy into the pail. Korbell’s double-sealing protection keep odours inside the pail, while the powder-scented refills provide extra odour resistance. The result: your baby’s nursery and your home will always smell clean and fresh. Korbell’s 100% biodegradable liners are the most environmentally friendly nappy bin liners available! Biodegradable bag refills are tough and flexible, strong, and tear resistant. Our bag liners will completely biodegrade in both landfill and compost sites. Korbell Bag nappy bin refills are made with 20% recycled materials. Each Korbell nappy bin features a button to childproof the lid, a knob to childproof the trap door, and a childproof cutter for cutting full bags from the continuous bag liner. This keeps dirty nappies away from toddlers with curious little fingers. Korbell nappy bins are made from heavy-duty ABS plastic which is extremely durable, very easy to clean, and completely resistant to odours from soiled nappies. In contrast, other nappy bins are often made of polupropylene, a less long-lasting material that is easily permeated by unpleasant smells. 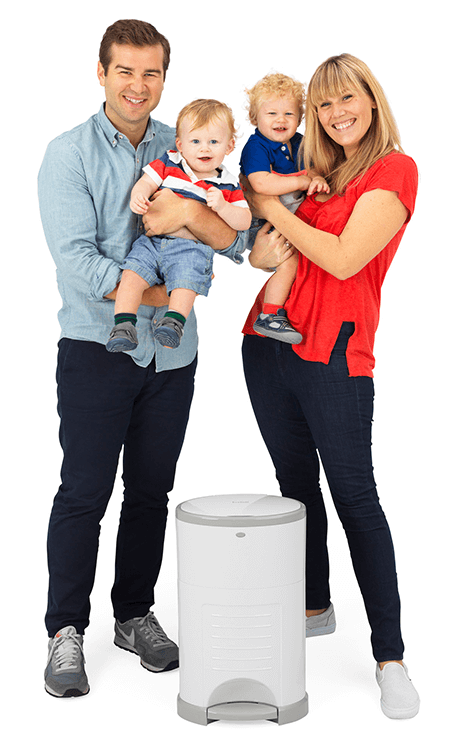 Once your baby is finished with nappies you can remove the nappy, insert and use the Korbell nappy bin as a rubbish bin that’s great for any room in the house. Extending its use in this manner makes Korbell ideal for both the environment and your budget.